Ornamental Iron Fencing (also known as Wrought Iron Fencing) is one of the most beautiful and aesthetic ways of improving the look and value of any property. The installation of this type of decorative fencing is actually something of an art, and when considering Ornamental Iron Fencing, it is important to get the best possible advice and consultation in order to achieve the best results. As beautiful and aesthetic as Ornamental Iron Fencing can be, the wrong choice of materials, design, or improper installation can be disastrous. Ornamental Iron Fencing comes in a wide variety of designs and colors. The quality of the Wrought Iron Fencing can also widely differ from manufacturer to manufacturer. 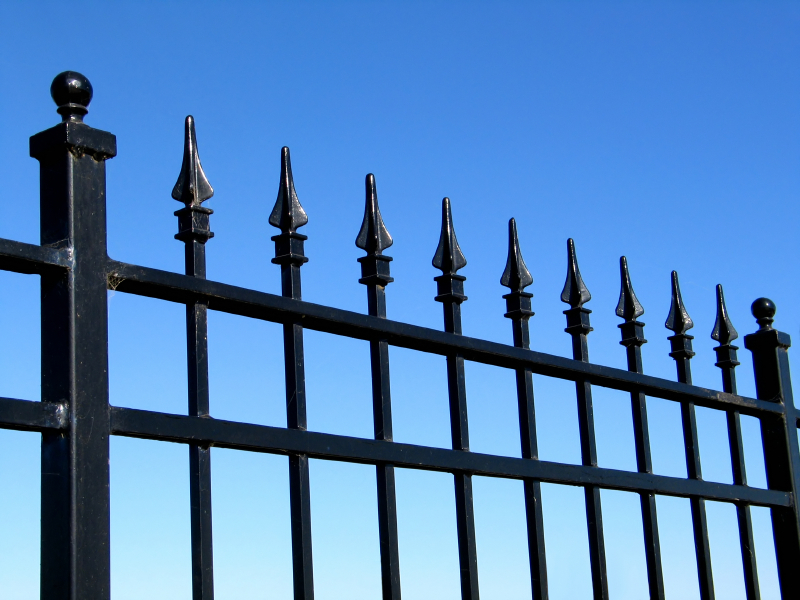 Poor quality Ornamental Iron Fencing can quickly deteriorate when exposed to the elements. 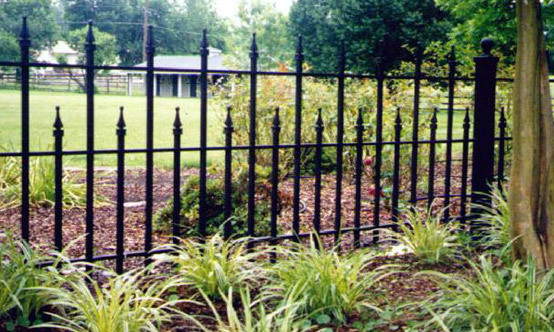 Rust, chipped or faded paint, and warping or bending are all signs of inferior Ornamental Iron Fencing. S&S Fence has more than 20 years of experience when it comes to the design and installation of Ornamental Iron Fencing. This experience is extremely valuable to the consumer who is considering Ornamental Iron Fencing because we pride ourselves on creating highly attractive results due to our superior workmanship and high standards. Our friendly fencing consultants will help you design and choose the right kind of Ornamental Iron Fence for your particular needs. When the work is completed, you can be confident that your new fence will be beautiful and built to last. Additionally, S&S Fence can design and install a variety of Ornamental Iron automatic gate systems. Ornamental Iron fences can be used in a number of different applications in which can withstand heavy traffic, absorb stress and look great. Ornamental Iron can be used for walkway railings, fences, and gates.